What's the Difference Between Cacti and Succulents? 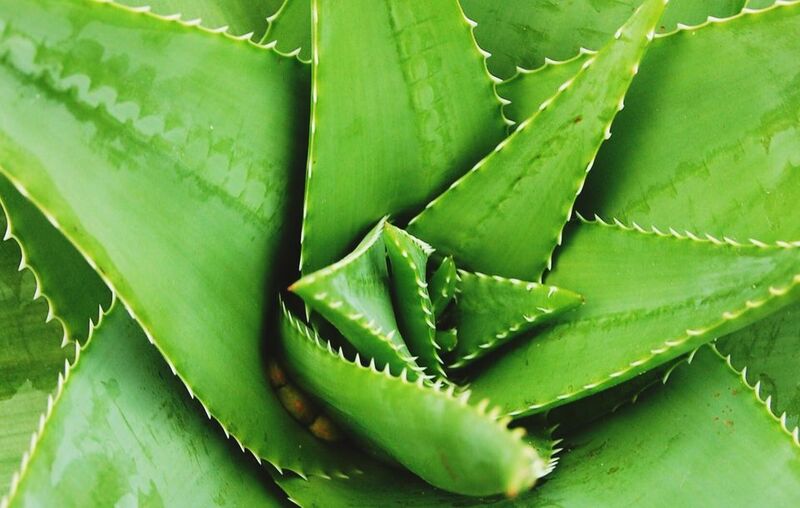 Aloe vera is a succulent but not a cactus. When we use the phrase, "cacti and succulents," it is a bit of a misnomer. The phrase seems to imply that we are talking about two totally distinct groups that are on a roughly equal footing (in terms of botanical classification), as when we say, for example, "music and literature." But, while there is a difference between these two plant groups, there is also a close relationship between them. "Cactus" denotes a botanical family. "Succulent" is a looser term: A number of botanical families contain at least a few succulents. All cacti are considered to be succulents. That is because succulents are the overarching category; cacti are a sub-group of that category. This fact begs the question of why popular convention persists in using the somewhat misleading phrase "cacti and succulents," as if they were two different things altogether. We can suppose that the persistence of this convention is due, in part, to the fame of cacti (the bigger ones, at least), which are well known even to people who have little interest in horticulture. Hollywood Westerns turned cacti into iconic figures. Maybe the cacti then became so big for their breeches that they demanded equal billing within the plant category to which they belong. By contrast, many non-gardeners have no idea what a "succulent" is, botanically speaking, being familiar with that term mainly in a culinary context (as in, "Such and such is a succulent morsel"). Given this gap between the fame of the cactus and the relative obscurity of "succulent" as a botanical group, it is easy to see why people might want to draw a distinction of convenience between them. Maybe it also has something to do with the diversity of the succulent category. Somehow, it does not seem right that the lone word of "succulents" should cover a whole group of plants ranging from the tiny "living stone" (genus, Lithops) to the giant saguaro (up to 50 feet tall at maturity). Saying "cacti and succulents" may reassure us that we are acknowledging the vast scope of the intriguing world of succulents, which are surely among the weirdest plants of nature. Cacti are distinguished from the rest of the succulents by the rounded indentations along their stems. These are modified buds called "areoles." From the areoles spring the spines (usually) for which cacti are best known. Cactus plants generally have few or no leaves. A wide variety of non-cactus succulents are native to different regions across the world. By contrast, almost all kinds of cacti are native only to the New World. Just as cacti stand out because of their areoles, once you are introduced to the non-cactus succulents, it is usually relatively easy to pick them out from other plants. Because they store water in their foliage and must be tough enough to survive challenging climates, most sport leaves or modified leaves that, while firm to the touch, have a swollen, "juicy" look (thus the name, "succulent") to them. While people do not eat most types of succulents, there is overlap between the culinary and botanical uses of the term for purslane (Portulaca olearacea): The tasty, nutritious leaves of this common lawn weed and type of succulent are often eaten in salads. We tend to associate cacti and succulents with warm areas such as deserts, but some types are quite cold-hardy. The hens and chicks succulent grows in USDA plant hardiness zones 3 to 11. Among the cacti, prickly pear (Opuntia humifusa) has hardiness bragging rights (zones 4 to 10). Prickly pear grows in clumps reaching 6 to 14 inches tall, with a width of almost twice that. As it matures, it becomes more prostrate in its growth habit. It bears 2-to-3 inch yellow flowers. Depending on where you live, the plant may begin blooming in either summer or late spring. The fruit from which the plant derives its name is also called a tuna (Spanish). The flat, bluish-green vegetative parts are referred to as nopalitos or "pads." The pads resemble nothing more so than a bunch of spiny beaver tails stuck together. In fact, the Opuntia basilaris species is called the "Beavertail." Do You Know the Difference Between Evergreens and Conifers? Is a Corm the Same Thing as a Bulb? What's the Difference Between a Cultivar and a Variety? Is There a Difference Between a Shamrock and a Four-Leaf Clover?